In the words of Kevin Costner, “If you build it, they will come”. In the case of Melbourne nothing could be more accurate. Last weekend I took my ten-year-old sports mad son to the Victorian capital. It was a first for both us – he had never been there before and neither had I in a non-working capacity. For over two decades I travelled regularly from Perth to Melbourne as a broadcaster and commentator. Last weekend I went simply as a punter. And it was in that capacity that I really came to understand just how well Melbourne caters for the sports fan. For a city that has not staged an Olympic Games in recent times its facilities and the grouping of them is something that exceeds almost all other cities around the world. The main sports precinct, and its proximity to the CBD, provides the city with a cluster of venues that are the envy of every other city. Whilst Sydney, post the 2000 Games, has the legacy of Homebush it is totally disconnected from the heart of the city. One of the great selling points of Melbourne’s major sports venues is the proximity to the city, and by extension, all the benefits that provides by way of ancillary entertainment and facilities. Nowadays, for many attending a sporting event is more of a full-day experience. The trend is for patrons to often bookend the main event by calling into restaurants, cafes and bars. Melbourne, in that regard, provides the perfect experience. The walkway from the MCG into the Southbank entertainment precinct – built in 2006 for the Melbourne Commonwealth Games – allows ready access to and from the ground and provides the ability to move tens of thousands of people in a smooth and timely manner. It also deposits fans at Flinders Street Station for ease of egress from the city. Likewise, Etihad Stadium provides easy pedestrian access to the heart of the CBD. As for the venues themselves it is hard to fault them. Few stadia in the world can match the MCG as a sporting amphitheatre. Thanks to constant, high-cost upgrades it has kept up with the times with respect to what the 21st century fan wants. In its shadows is Melbourne Park, which once again, is being continually upgraded through a multi-year $700m investment. Most years the world’s tennis elite list the Australian Open as their preferred major tournament when it comes to amenities, transport and accessibility. Within the complex is three indoor arenas headlined by the 15,000-seat Rod Laver Arena which doubles as a concert and major event venue for other indoor sports. Hisense Arena can be easily converted into a world-class velodrome as it was for the 2006 Commonwealth Games. 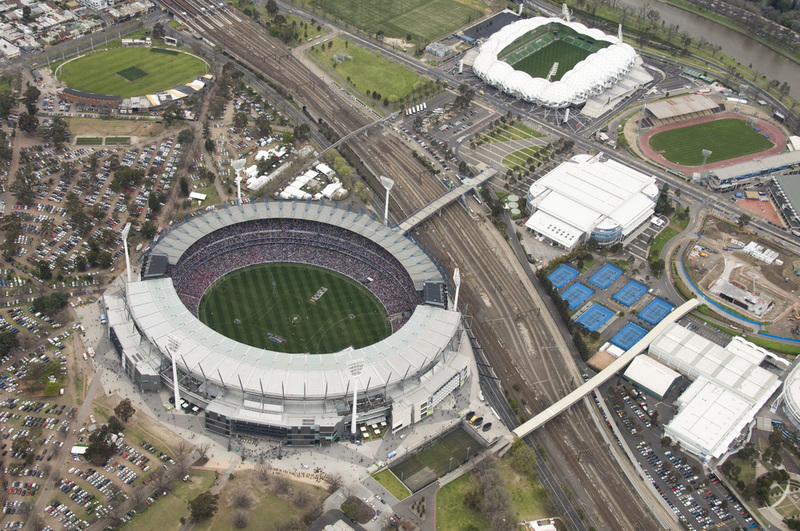 In the same precinct is AAMI Park, a purpose-built 30,000-seat rectangular sports stadium which hosts both domestic and international events. Having so many first-class venues clustered in one area less than a kilometre from the CBD is unlike any other city. On top of all that there is the Formula I street circuit and the Spring Racing Carnival which is held across three top-flight venues. The thing about Melbourne, and what sets it apart from not only other Australian capitals but also myriad other international cities, is the fact that it has had for many decades a coherent and well thought out facilities development and upgrade program. Currently, there is debate over two separate plans to further enhance the major sporting amenities within the city. 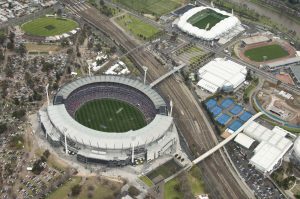 Collingwood FC president Eddie McGuire has publicly floated a $1bn plan that involves demolishing Etihad Stadium and building a new 60,000-seat, retractable-roofed stadium alongside the MCG. The AFL meanwhile has proffered its own plan for a $300m revamp of Etihad Stadium which would include open-air bars, restaurants and parkland around the ground. If neither of these proposals get up, you can be rest assured that one will emerge that will be accepted and implemented. In Perth, a 60,000-seat stadium is currently under construction and from March 2018 will be the home ground for the Eagles and the Dockers as well as selected international cricket fixtures and the BBL and other sports events on a needs basis. The new Perth Stadium is long overdue with areas of Subiaco Oval affected by concrete cancer while some of the seating comprises the old wooden bench style that went out of vogue at most venues decades ago. 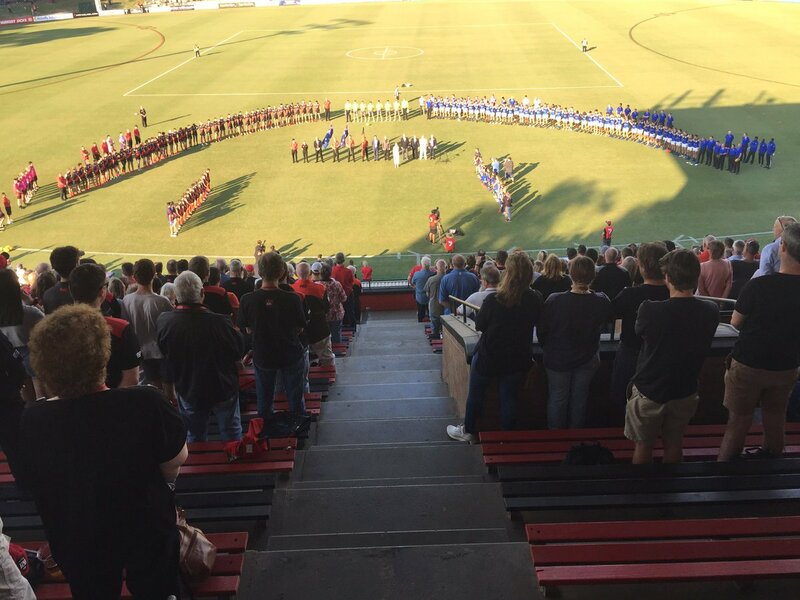 For over 25 years, successive governments and sporting bodies have tried to reach agreement on the future stadia requirements for the city while over that period band-aid measures have been undertaken at both Subiaco Oval and the WACA Ground. The result has been a sub-standard experience for the city’s sports fans. While the likes of Perth have trod water and argued back and forth about what is required, Melbourne has continued to push forward systematically and created world-class facilities. Forward thinking, effective planning and the ability to bring competing groups together has helped maintain Melbourne’s status as a city which sees sport at its core. Globally, few can match what Melbourne has achieved. The venues are up there with the best in the world and that is evidenced by the throngs that turn out every week to utilise them. If any city deserved to host a future Olympics it is Melbourne. The bulk of the infrastructure is already there including most of the transport requirements. That can be said about few cities in the world. By head of population it is questionable as to whether any other city has the multi-sport passion that Melbourne has. In terms of facilities, events and bums on seats Melbourne is, in essence, the sporting capital of the world. Nobody does it better and it is doubtful Melbourne will take its eye off the ball anytime soon, making the fans the big winners. "A man is literally what he thinks"
Is David Warner bound for greatness?